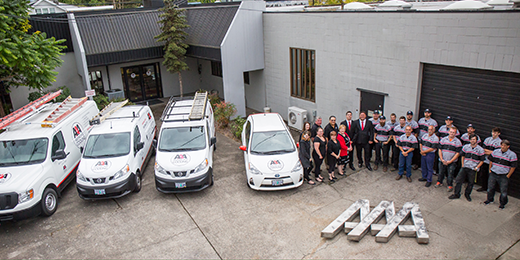 AAA Heating and Cooling has been the leader in residential and commercial furnace installation, heating services and air conditioning repair for thousands of clients throughout Portland, Beaverton, Hillsboro, Lake Oswego and the surrounding areas for over half a century. As a family-owned Portland, OR business, we offer a variety of services, including the installation of home heating and air conditioning systems, AC and furnace service and repair, duct cleaning as well as a variety of commercial heating and cooling solutions. Your health, comfort, safety, and satisfaction are our top priorities at AAA Heating and Cooling. Our expertly trained technicians value the time they spend learning about your HVAC needs and concerns. Using the information that you provide, we’ll happily create a custom solution that’s tailored to your expectations and budget. Contact AAA Heating and Cooling today for a free quote! Installation, service, or repair from expert technicians. Keep your HVAC system in top condition for year round comfort. Call or click for a free estimate today! We have used AAA for over 20 years. They have replaced and relocated our AC, and nursed along our 20 year old furnace until we could scrape the money for a new one. They are friendly, professional and make it right every time. Thanks everyone at AAA! Keep fresh, clean air flowing through your home this summer! Receive 33% off one of the following Indoor Air Quality (IAQ) Products when you purchase a 16 SEER or greater unit from AAA Heating & Cooling. Offer valid through October 31, 2018. Click here for details!